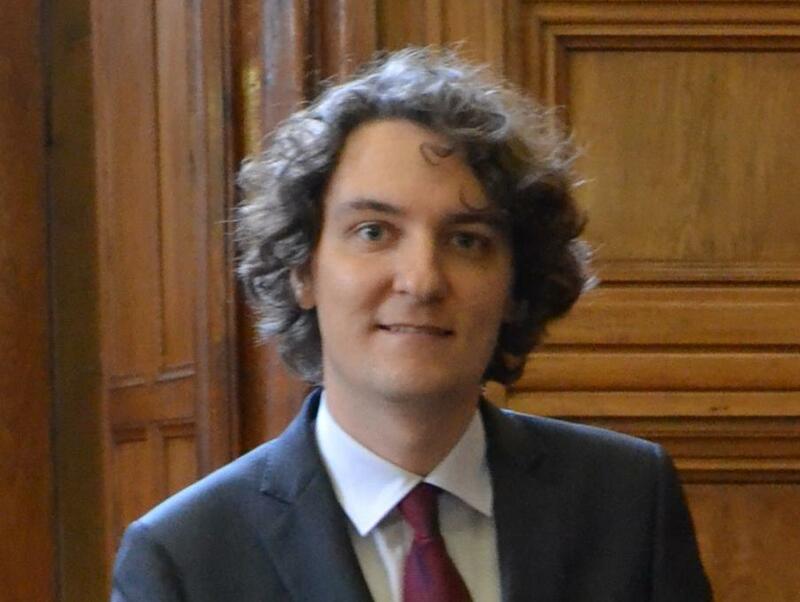 My name is Baudry Rocquin, I am a sociologist and a historian and this page was created in 2006 to gather information and sources on the history of British sociology. I had then a couple of papers on the topic, one of them being my Masters' thesis which you can still find and download below. My PhD at the University of Bordeaux extended the period and focused on British sociology between 1904-2014 while my DPhil from Oxford focused on 1920-40. It's been 10+ years since it was first created and, as of April 2019, it has now reached its cruise speed. There is now a page on my second, new book published with Palgrave Macmillan in 2019. I will be adding more material about my current activitiesat the University of Strasbourg, so do check this page from time to time. Have you tried my blog? 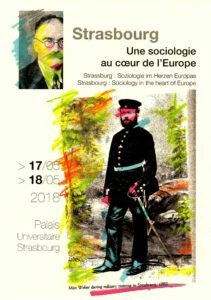 May 2018 saw a good opportunity for the whole RT50 (the research group on the history of sociology) of the French Sociological Association (AFS) to gather in Strasbourg for a conference entitled 'Strasbourg: Sociology at the heart of Europe' and organised by Prof. Em. Suzie Guth from my own department. I presented a paper on Maurice Halbwachs and Georges Gurvitch, both for a time Professors of Sociology here in Strasbourg and oriented my work towards an understanding of what 'provincial sociology' meant for these two leaders while they were still away from Paris and the intellectual centre. The conference led to the publication of a volume on Strasbourg sociology to be released in 2019. 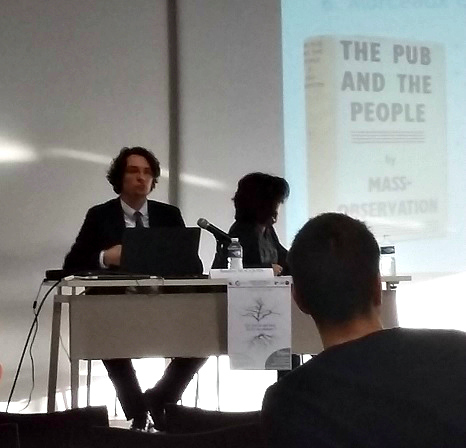 I recently gave a paper on 'The French reception of the British sociologists in the interwar years' in Dijon at a two-day conference organised by J.-C. Marcel, a specialist of interwar Durkheimianism, and our circle of historians of sociology. The conference addressed the question "What is a school of thought?". A very French topic, indeed. The conference was good with over 20 presentations, although I found myself to be one of the very few to be using a Powerpoint slide! The talk was largely inspired by my previous Birmingham experience, enriched with a quantative perspective. I had to answer several tricky questions but received warm comments about how "Hobhouse and Geddes" seemed much more interesting characters than usually assumed. Oh and, no, my talk was sadly not about "the pub and the people". I was recently featuring on a panel on 'Social theory' at the BSA Annual Conference in Birmingham on 7 April 2016. 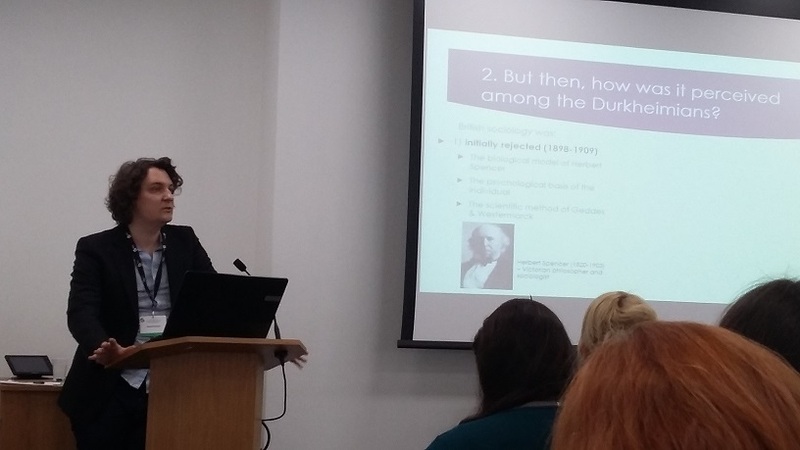 I presented a paper entitled The French reception of British sociology in Durkheim’s Année sociologique (1898-1942). The three-day conference was good with over 600 presentations, but the audience at mine did not seem to expect a historian of sociology... You can download the Powerpoint file I used here if you'd like to know my argument! 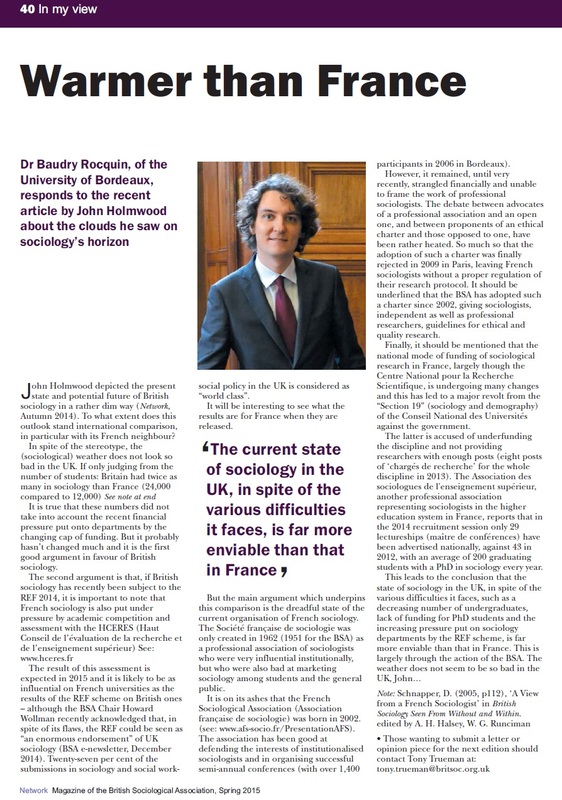 I wrote a short piece describing 'The current state of French and British sociology ' that was published in BSA Network, Spring Issue 2015. Network is the official quaterly publication of the British Sociological Association that features news from sociology all over the world. In this article I respond to John Holmwood's rather dim view of sociology in Britain by arguing that it is in a much better state than the French one when, for example, numbers of jobs are taken into account. Holmwood was then President of the BSA and had co-edited the Palgrave book in which I also published a chapter (see below). I had interviewed him in April 2014 in Leeds for my Sociology PhD. July 2014 - The Handbook of Sociology in Britain is finally out! 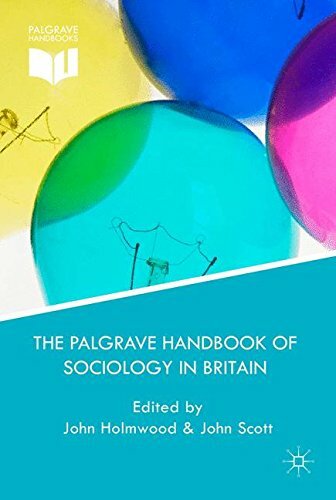 You can finally read my chapter on British Sociology in the inter-war years in the Palgrave Handbook of Sociology in Britain, a book that was co-edited by John Holmwood and John Scott, both Professors of Sociology, respectively in Nottingham and in Exeter. The funny story is that this piece was eventually published thanks, precisely, to this website you're on! Indeed, back in 2011, John Scott had been in touch with me after seeing my MSt thesis at britishsociology.com which he liked. Then he suggested I should write a paper on the topic for the book! The book consists in 25 chapters on so many aspects of British sociology that it really surveys the discipline - although rather thematically than chronologically. As such, it should quickly become a reference for generations of students and researchers alike interested in the subject because such a book has long been missing in the bibliography. See the full table of contents and buy the book at Palgrave.com. You will soon find an abstract of my PhD in Sociology at the University of Bordeaux. I wrote a history of British sociology between 1904 and 2014, whose title translates as A sociology without sociologists? Britain's search for a discipline (1904-2014). The viva was succesfully taken on 12th December 2014. You may find a short description of my project (in English) here, but please get in touch if you would like further details. The floating discipline: British sociology and the failure of institutional attachment (1911-1938). I read for an M.St. in Historical Research at the University of Oxford in 2005-6. I worked for a year on the history of British sociology in the interwar years (c. 1920-1940) under supervision by Prof Robert Gildea, then in Merton College. I used archives from the London School of Economics and Political Science, the Universities of Oxford, Cambridge and Keele. It was a fun year during which I learnt a lot about doing research. Before WWI, the budding sociology in Britain suffered from the lack of a clear definition of its topic and field, and as a result of an impossible scientific compromise the Sociological Society collapsed by 1914. The creation of the Institute of Sociology in 1930 eventually reversed the inchoate state of the three "branches" of sociology. With the cooperation of the LSE (with Morris Ginsberg) and the University of Liverpool (with A. Carr-Saunders), the Institute of Sociology, led by Alexander Farquharson, saw a scientific sociology emerge. 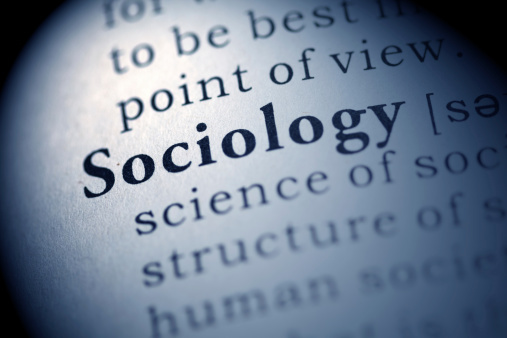 However, if not an intellectual failure, at least sociology failed to secure any institutional attachment in universities in the 1930s, owing to a fierce competition with other disciplines, and to the sociologists’ lack of academic connections. Before you leave, did you check my blog?